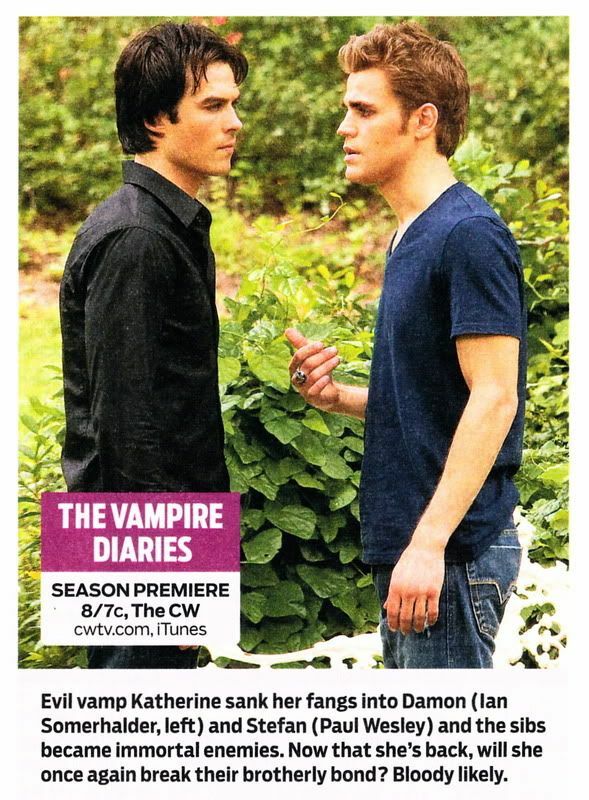 Scans from the August 30-September 12, 2010 issue of TV Guide. Click for BIGGER. Everyone has probably already seen this Smallville one, from William Keck's column, but of course I wanted to make my own scan. 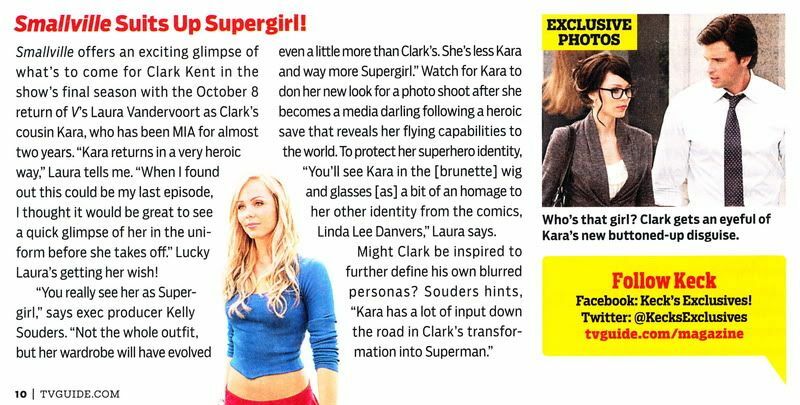 :) The text is identical to what was posted on tvguide.com on Monday, but the pics show more, including our first glimpse of Clark in S10! And here's Clark a little bigger, all by himself. SO PRETTY. Aly Michalka from Hellcats is featured in the Family Fall Preview section. The White Collar mid-season finale airs on Tuesday, September 7, 2010, at 9PM on USA. 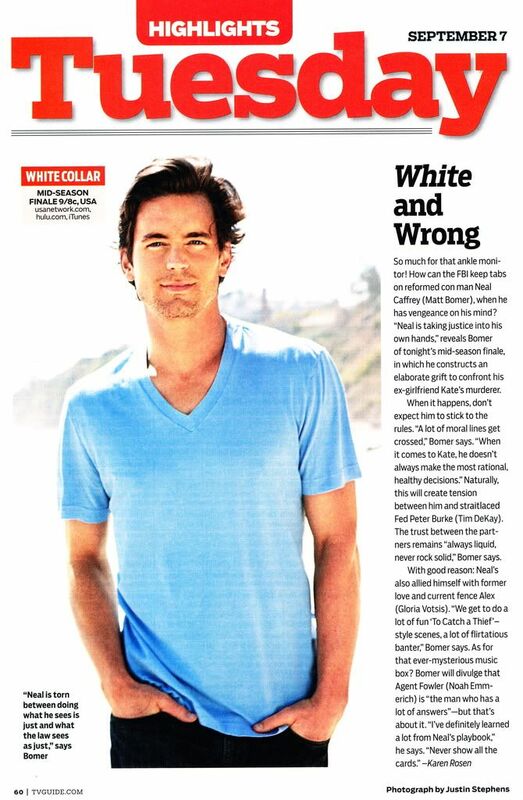 And Matt Bomer is HOT. Hellcats premieres on Wednesday, September 8, 2010, at 9PM on the CW. Yay for executive producer Tom! The Vampire Diaries returns for a second season on Thursday, September 9, 2010, at 8PM on the CW. MATT BOMER STOP BEING SO DAMN PRETTY. Damn, Clark looks gorgeous. Wow. I find if I focus on him, I can forget how I'm still rather irritated by the prospect of that episode. 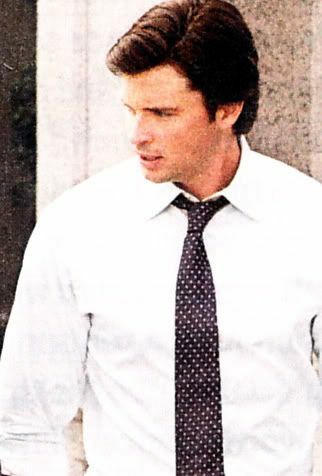 Also, Tom Welling, why such beautiful hair? Thanks for scanning it so prettily, the images do pop more! And Ian Somerhaulder, why so pretty? I can't wait to see what Damon does in S2! I think I'll have to buy the new TVGuide just for that Tom pic! LOOK AT HIM! Why can't we have THAT on the big screen? WHYYYY? Matt Bomer is smoking hot. Although he's kind of a wee little thing, he makes up for it in gorgeousness. I'm mourning the end of the summer shows. Give me a week to honor them, OK? I know what you mean. Remember when there was nothing on in the summer? Now it's a whole separate season, but it goes by so fast. I think I watched ten shows this summer!